The Cursive is Cool 2019 Writing Contest is underway through March 8, 2019! In my National Handwriting Day 2019 post yesterday I mentioned the annual writing contest by The American Handwriting Analysis Foundation was beginning. 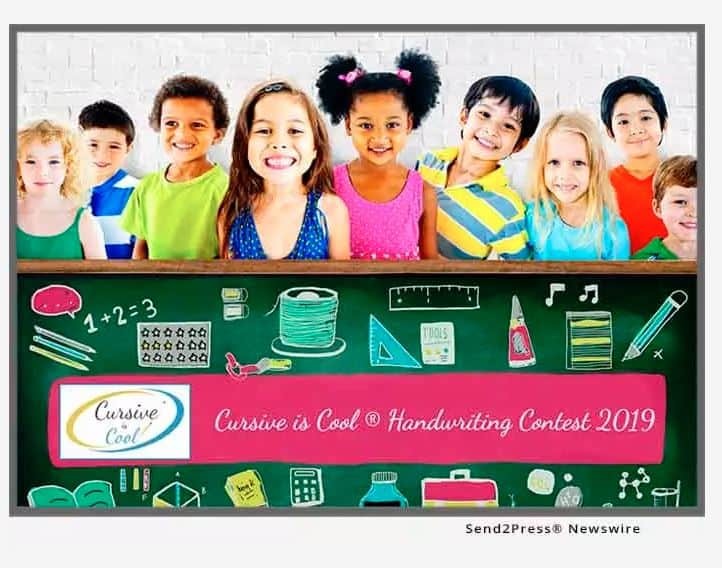 Let’s begin with this complete Contest Details Cursive is Cool 2019 Writing Contest PDF Link including judging criteria. Furthermore, over at the send2press site yesterday, I’m including this Press Release excerpt. Lastly, at their site, it has a wealth of information on cursive, including becoming a Certified Cursive Coach for learning to teach handwriting! In conclusion, tomorrow finds us ONE week away from #InCoWriMo2019 Letter Writing event for celebrating writing one letter each day in February!